Effective mobile working can be a huge challenge. Connectivity issues, lack of user confidence, clunky technology and the challenge of securing a range of mobile devices all present significant difficulties. The Robert Jones and Agnes Hunt Orthopaedic Hospital wanted to better support its remote users to fully realise the benefits of remote working, whilst also increase cost and time efficiencies. The Robert Jones and Agnes Hunt Orthopaedic Hospital NHS Foundation Trust (RJAH) is a leading orthopaedic centre of excellence. 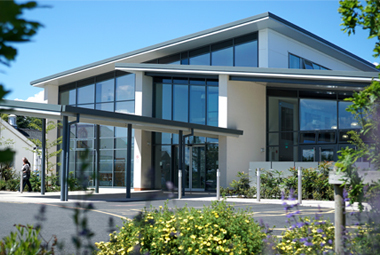 A specialist hospital with a reputation for innovation, the Trust provides a comprehensive range of musculoskeletal, surgical, medical, and rehabilitation services; locally, regionally, and nationally. The vision from RJAH is to be the leading centre for high quality, sustainable orthopaedic and related care, achieving excellence in both experience and outcomes for patients. The existing token based BT N3 remote working solution was proving expensive and unfit for purpose. ITHealth’s remote access solution and connectivity intelligence enhances remote working and clinical workflows. It is of great importance that users at RJAH have secure remote access to all applications. This is especially true for their clinicians who perform clinics remotely and need unrestricted, secure remote access to clinical information allowing them to deliver excellent patient care. To meet this requirement, RJAH had previously used the BT N3 Remote Access Service, but found that some IT systems were inaccessible to remote users, it only provided limited access and was not fit for purpose. This matter impacted on staff because they could not perform many routine duties whilst working off site. With no visibility of connectivity issues away from the hospital site, the IT department also found it hard to support its remote users. Finally, an increasing number of remote user requests for the token-based BT N3 service saw costs spiralling for the Trust’s IT department. RJAH were looking to replace the BT N3 service with a fully functional remote access solution, which would meet the increasing demands for remote access without incurring excessive costs. It was also important that new user requests could be easily supported by IT. The new solution had to be easy-to-use and manage, and ensure security and compliance with NHS security guidelines. It is important that staff can access any IT system whilst working remotely and that the solution is intuitive and easy-to-use. After investigating available secure remote access solutions, RJAH decided upon the Secure-IT solution from ITHealth, specialists in providing IT security and access management solutions to NHS organisations. Secure-IT offers strong two-factor authentication that enables Trust staff to securely access data from wherever they are working, using their NHS smartcards, hard tokens, or mobile phone ‘soft’ tokens as a means of authentication. The Secure-IT solution enables ways of working that increase efficiency and can improve clinical outcomes. RJAH chose a typical Secure-IT solution which comprises Secure-IT two-factor authentication software, combined with approved EAL4 appliances to provide firewall, VPN concentrator, and intrusion detection, installation, training and ongoing support from ITHealth. Secure-IT has been used by numerous NHS Trusts over the years and complies to NHS standards and guidelines. Having a solution that is within our control allows us to respond quickly to issues and additional user requests without incurring additional costs. This solution would benefit any NHS organisation looking for remote access; especially those currently using the BT N3 service as it will reduce costs whilst increasing the number of users who can have remote access…it also improves staff flexibility allowing more staff to work remotely.